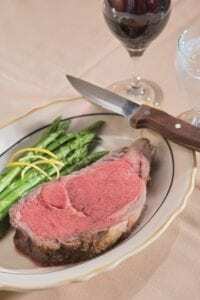 As a Williamsburg steakhouse serving the finest cuts of steak in Colonial Williamsburg and the general Williamsburg Virginia area, one of the biggest questions that comes up is what is the best wine to pair with our gourmet steak and prime rib. And it is the perfect question to ask considering that Virginia has some of the finest wines that you can get anywhere. Many of which have won awards. Regardless you still want to make sure the wine flavor complements the steak you have ordered. Change the fact that certain ones go better with certain types of dishes or steaks prime rib etc. Naturally the ultimate way to pair steak in Williamsburg would be to have a Sommelier with you. That is not always practical, though there are some great ones here . LIkewise here is a very crude but simple system to help you pair wine with red meat while you are here in the Colonial Capital of America. It is not precise but represents a simple system to use as a guideline. A good example of this would be a sirloin that is lower fat than other cuts. Not sure ask us at Fireside Chophouse. We have had over 50 years of preparing the finest quality beef, pairing it with the finest quality drinks and wine and we will do the same for you when you come visit us anytime. After multiple decades you get very good at knowing what is the best parent with the best meat. It is an art form good wind really enhance that flavor. Conversely a bad wine could hurt the flavor of the meat that’s not what you want you’re there to enjoy a delicious perfectly balanced meal at her in terms of flavor. For a Williamsburg Steak think bold red. 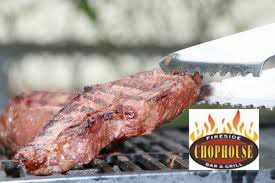 For a delicious Williamsburg steak and one of the finest most experienced Williamsburg steak houses come visit us at the fireside chophouse on Richmond Road. We have more experience any chain or any other restaurant tour and preparing great beef.